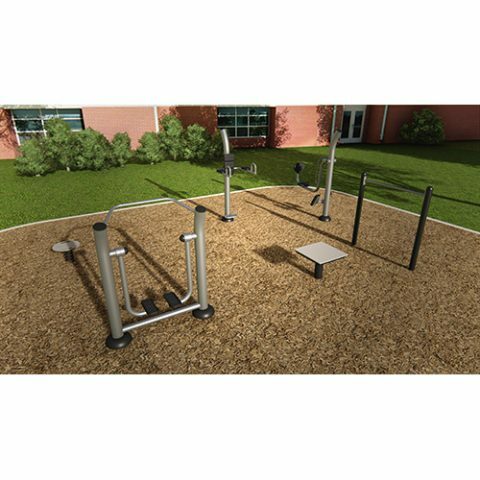 The Traditional Course is the perfect agility option for users, providing a complete workout in a smaller space. 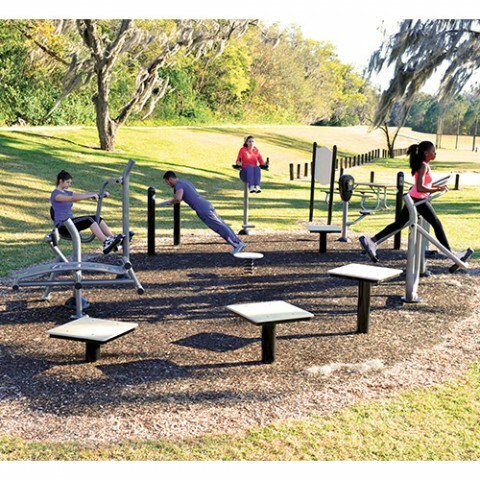 This package addresses all four elements of fitness: aerobic, muscle fitness, balance/flexibility and core. 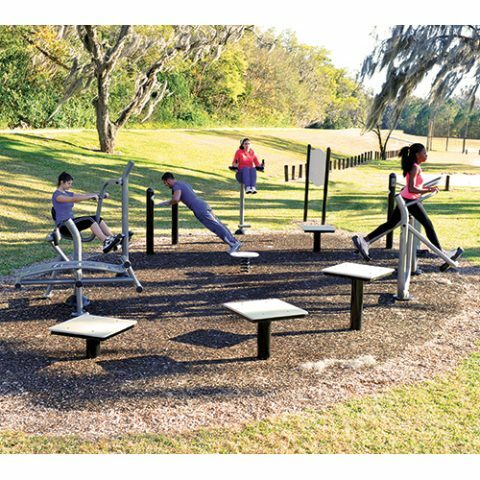 By Including the four elements of fitness, your park qualifies to become a National Demonstration Site (NDS). 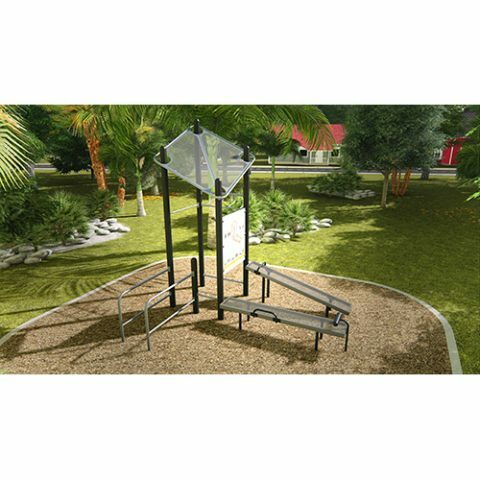 • A professional Press release which will be sent to news agencies in your community to promote your leadership as an advocate for health. 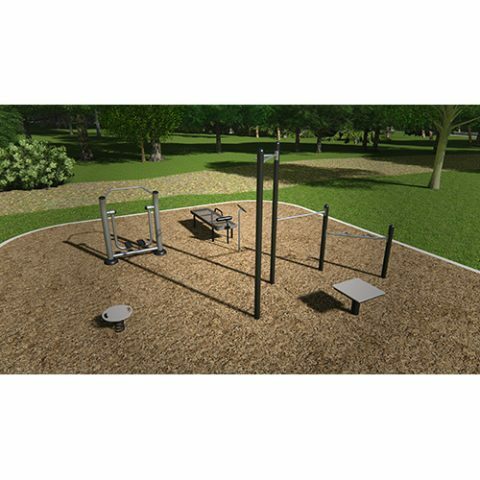 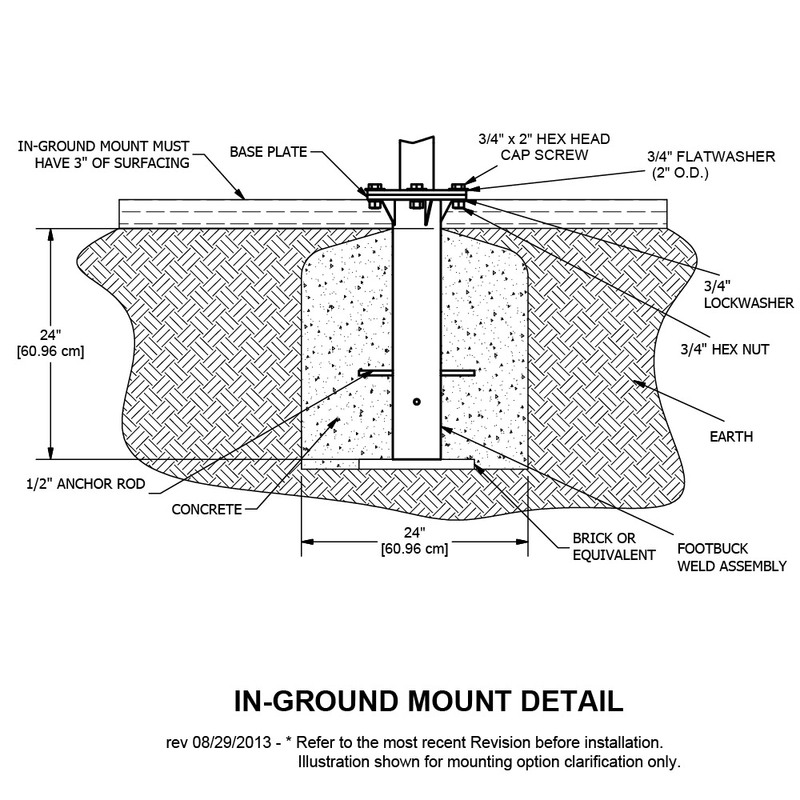 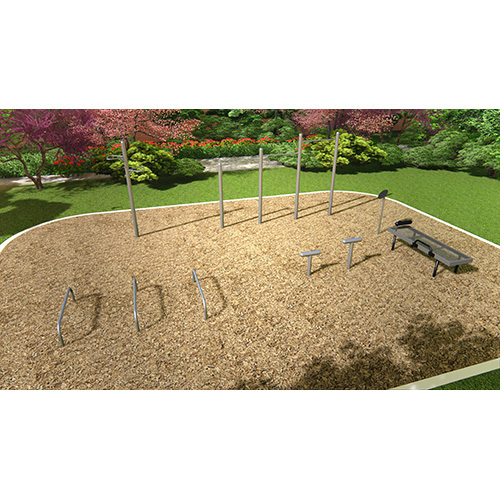 The Traditional Course is available in the Traditional color pallette, it qualifies for PlayCore’s National Demonstration site designation for Outdoor Fitness, and features an in-ground mount version only.